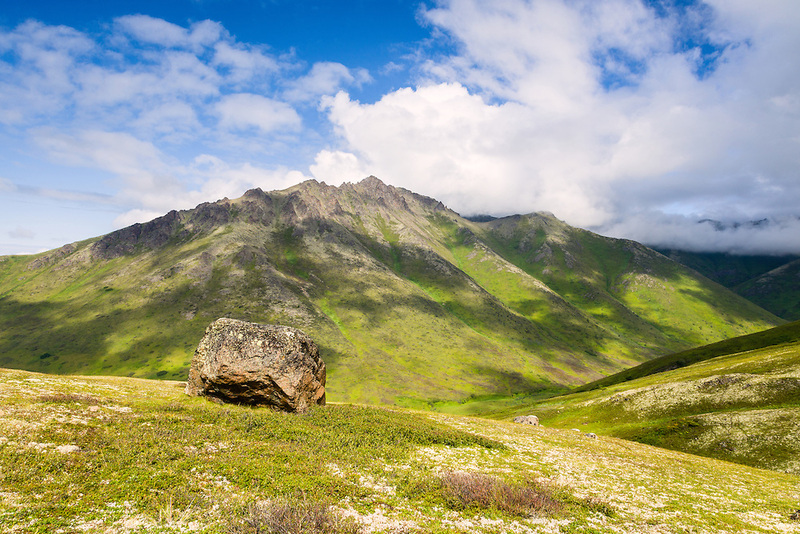 Looking north on the unnamed Chugach Mountains and valley from an alpine meadow on Mt. Magnificent in Chugach State Park near Eagle River in Southcentral Alaska. Summer. Afternoon.